Application Crashing is the most complained problem from mobile app user. If application crashes 3 times in a row, about half of users will remove it from their phone. Crash Tracking System, which lets developer to collect every single details of crash directly from user's device, has been invented to take care of this issue especially. The most two popular Crash Tracking System to date are Crashlytics and Parse Crash Reporting, which are both totally-free service. Developer could integreate any of them in their app without charge. Whenever application crashes, the whole stacktrace will be sent to the backend which allow developer to fix every critical problems at the easiest manner. With this method, you would be able to deliver a Crash-Free Application in very short time. However, those data are collected in the service provider's server which may raise some concern for a big company about user data's privacy. So ... is there any crash tracking system that allow us to set up our own server? Of course, there is! And it is actually quite easy to set up one. Here we go Application Crash Reporting on Android (ACRA), a library enabling Android Application to automatically post their crash reports to our own server. Server side is a prerequisite for client side. So let's start with server side first. Since ACRA is well designed and is quite popular. It allows developer to develop their own server system which we could see many of them out there. Anyway the best one I recommend is Acralyzer which is also developed by ACRA team. Acralyzer works on top of Apache CouchDB, so there is no need to install any additional software but only CouchDB. It is quite easy to install one. Here is the full instruction on how to install Acralyzer on Ubuntu. Please feel free to place a raw password there. Once CouchDB is restarted, your password will be hashed automatically and will be unreadable. curl -X POST http://localhost:5984/_restart -H"Content-Type: application/json"
From now you, you will be able to access CouchDB through web browser. 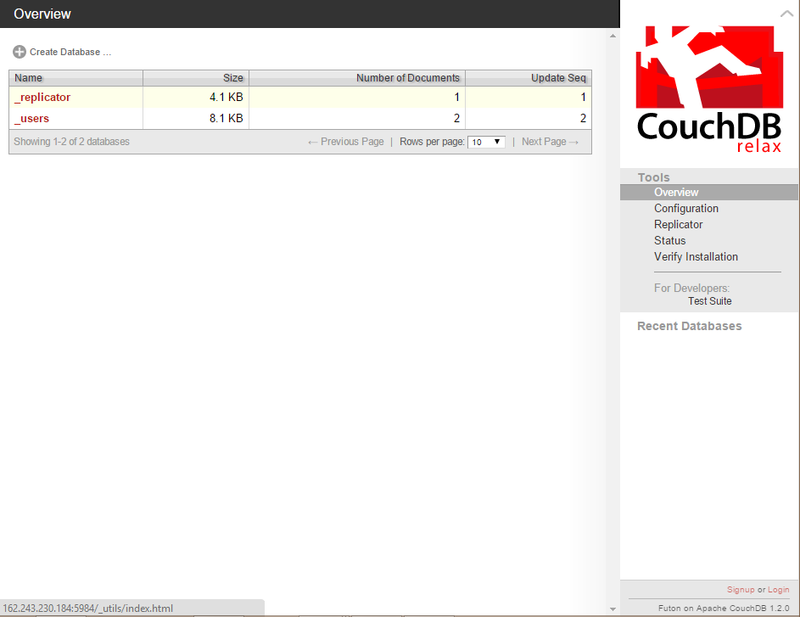 This web service is called Futon, a CouchDB's UI Backend. Just simply open this url on your web browser. First of all, login into the system with your administrator account set previously. Press Replicate and wait until it is done. Next install Acralyzer with the same method but different parameters. If you did it right, there will be 2 databases added in the system, acra-myapp and acralyzer. 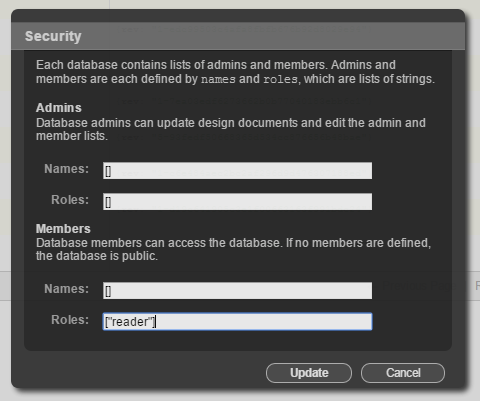 Fill in any Username/Password you desire (no need to be the same as administrator account) and press Create User. These information will appear. Copy them all and paste it to your favorite text editor. We would use it in client setting up part. Please note that acro-myapp is created just for one app. In case you want to create a backend system for another app, please replicate another acro-storage with the same exact procedure but change the Local Database name to acra-<your_app_name>. Please note that it is necessary to start the name with acra- or it would not be listed as a choice on Dashboard. If there is more than one app in the system, there will be a drop-down listbox in Acralyzer Dashboard page to let you choose which one you want to see the issues. Please feel free to give a try. Add a Annotation @ReportCrashes above your custom Application created. * Created by nuuneoi on 2/19/2015. And the final step, just don't forget to add INTERNET permission inside AndroidManifest.xml or ACRA may not be able to send those stacktraces to your server. Congratulations. It is now all done ! Run your application and then change a reason of crash and then run it again. And check your dashboard, you will see that those bugs report are sent to the backend system already. Each bug item is a group of same reports from different user sent at the different time. 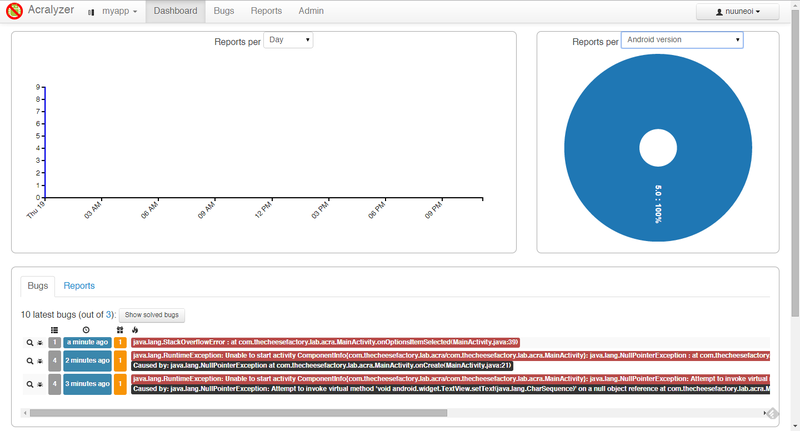 Take a deeper look into report, you will see that it comes with a full stacktrace. If you finish fixing any bug, you could close the issue by simply press at the "bug" icon as highlighted in picture below. Hope that you guys find this article useful especially for a big company who need a Application Crash Tracking System but has a privacy concern on using those ready-to-use services. 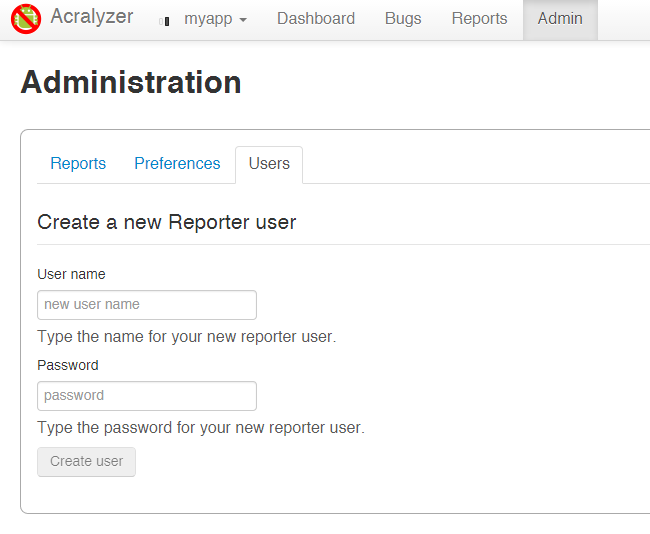 Actually ACRA comes with a lot of features for example, show a Toast or popup a Report Dialog when crashes. You could find those options in ACRA website. Acralytics is also the same, there are a lot of features to play with for example, you could set the server to send us email once there is a bug report sent into our system. More info are at Acralyzer.